A reliable system simulation of the reciprocal mechanism between water resource utilization and dualistic water cycle is essential to the basin water resource sustainability management. In this study, a system dynamic model was built to simulate the water cycle change and lake water environmental pressure under the influence of water resources utilization, and the procedure of a progressive operational scenario analysis of how to relieve water environment pressure was illustrated. 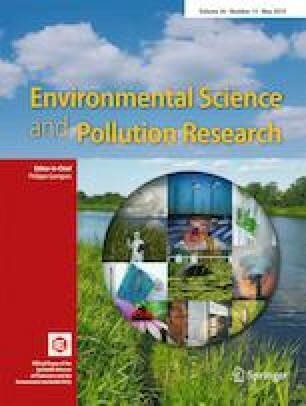 Dianchi Lake, which is the sixth largest and the most severely polluted freshwater lake in China, was employed as a case study to demonstrate the applicability of the model. The change of runoff components and pollution load of total nitrogen from 2000 to 2030 were discussed. Also, the sustainable water resource management was ultimately realized in the planning period through three progressive levels of water resource regulation scenarios. Compared with business-as-usual scenario, the TN pollution load into lake and total water demand decrease by 27.1 and 27.3%, and the domestic water use, industry water use, tertiary industry water use, and irrigation decrease 9.0, 16.8, 29.5, and 30% in the scenario 3. The online version of this article ( https://doi.org/10.1007/s11356-019-04565-9) contains supplementary material, which is available to authorized users. This work was supported by the Integrated Technology of Water Pollution Control in Dianchi Basin and Application of Lakes in Yunnan Guizhou Plateau (2018ZX07604004).